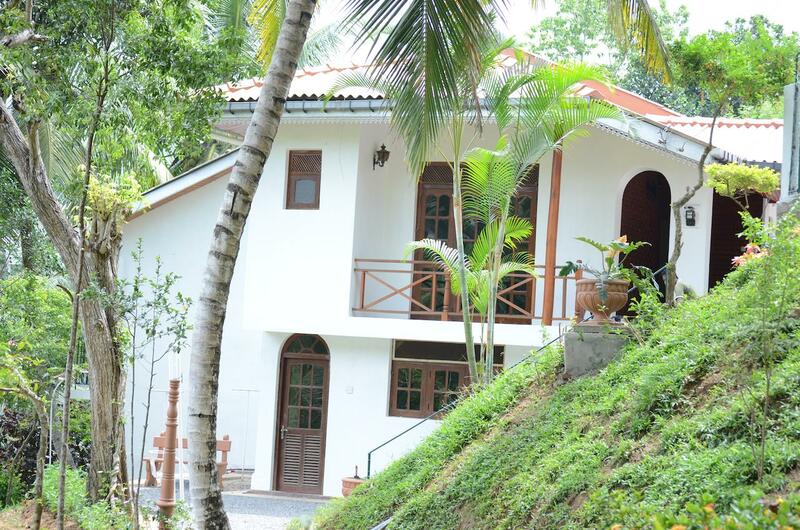 Looking for brilliant bungalows in Kandy? Then you've come to the right place. Check out my review of the top 10 Kandy has to offer. Something to everyone! So, you’ve decided to visit Kandy, awesome choice. Now you’ll be on the lookout for the perfect accommodation in Kandy, so we’ve rounded up the 10 best Bungalows in Kandy that will be perfect for your stay in Sri Lanka. All of these bungalows in Kandy have a rating from Booking.com because that’s the website that Bradley and I use to book our accommodation around the world. 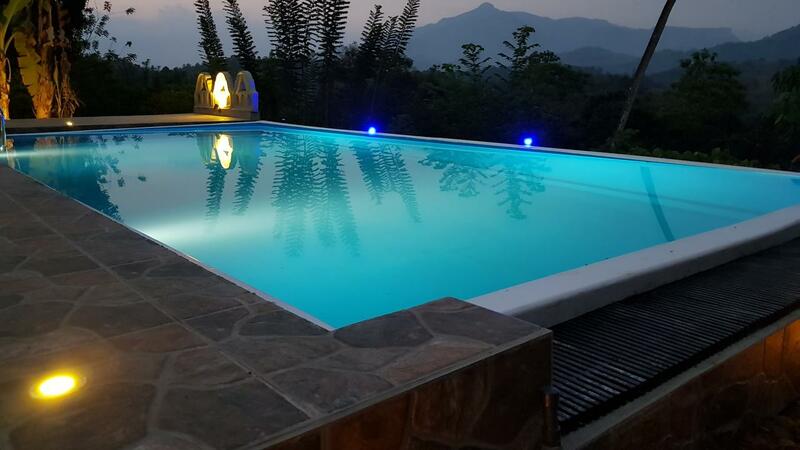 Featuring beautifully decorated rooms, complete with comfortable bathtubs, this bungalow in Kandy offering a beautiful swimming pool in stunning surroundings. 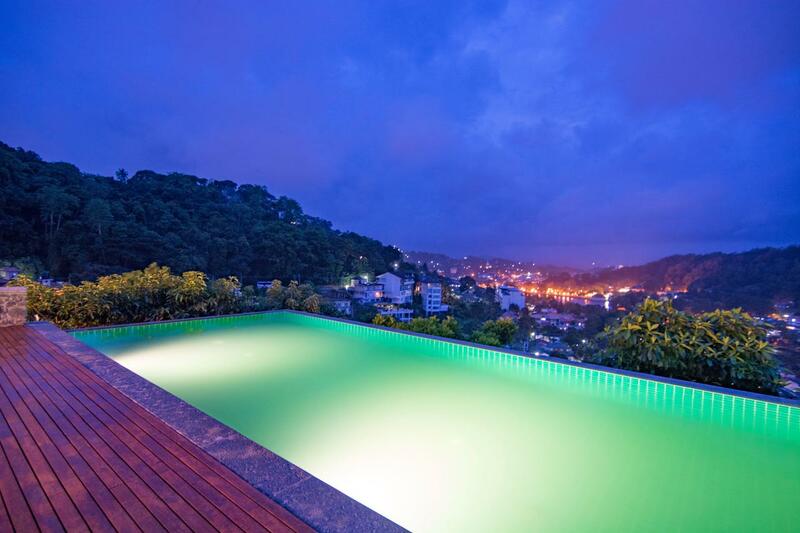 The swimming pool is massive and overlooks the Kandy city offering stunning views in the evening. This is the perfect accommodation for couples celebrating an anniversary or honeymoon. Oh, and breakfast is included too. Rating: New property on the website so no reviews yet! The sheer quality and style that appears to be on offer, and I think that pool looks brilliant. If I was celebrating an anniversary, then this would be my first choice. Or, I simply wanted a romantic evening away. If you’re in search of bungalows in Kandy that offer beautiful and serene surroundings, then this may be your place. Surrounded by greenery, this bungalow offers beautifully decorated and comfortable rooms. Breakfast is available at the property and there is an on-site restaurant. If you’re in search of 5-star bungalows in Kandy, then you’re going to be impressed with this choice. Featuring a stunning swimming pool and stylish rooms, this is the perfect place for a luxurious escape to Kandy. An on-site spa is also available for massages and facial treatments which is perfect for encouraging relaxation. Cost? Prices begin at £187 (discount for genius members) per garden chalet based on two people sharing. It’s a 5-star property for a 5-star experience. Everything about this bungalow screams luxury and satisfaction, so if that’s what you desire in a property, then this is your perfect bungalow. 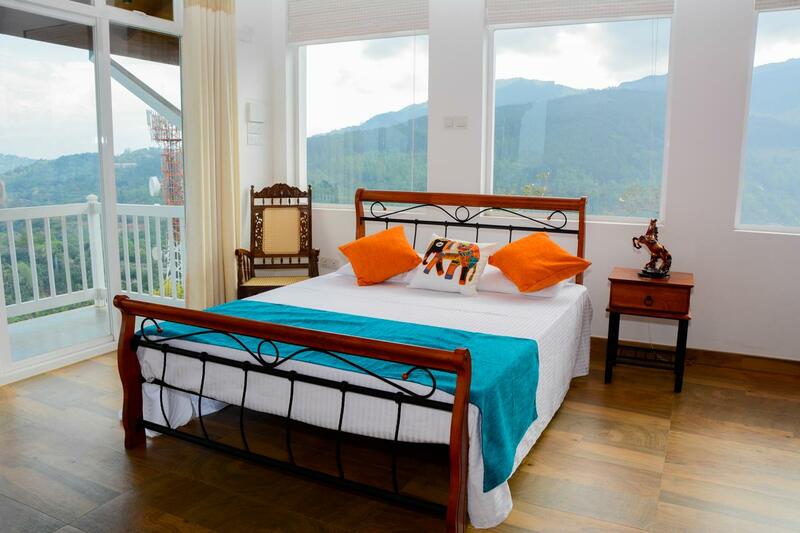 Offering beautiful balcony views from comfortable and stylish bedrooms, this is one the bungalows in Kandy that delivers on price and location. Breakfast is possible at the property and guests can take advantage of off-site cooking classes which can be arranged by the accommodation. Cost? Prices begin at an excellent £50 per double room based on two people sharing. I would say this is one of the cheap bungalows in Kandy. If you need good value accommodation in Kandy that does exactly what it says on the tin, then I think this is the bungalow for you: great value, stylish and comfortable. Boasting a garden and a terrace for relaxation in the mornings and evenings, this bungalow in Kandy offers comfortable accommodation at a reasonable price. 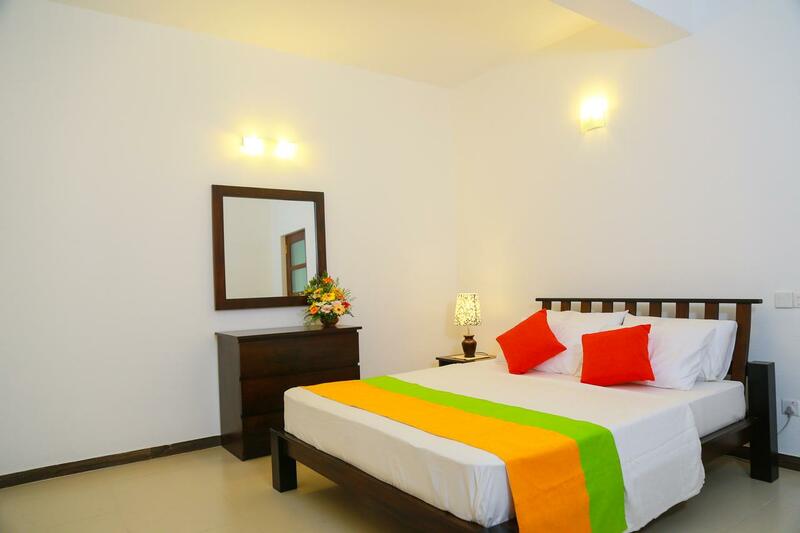 It’s in a great location being only 18 minutes walking distance from the Kandy city shopping mall. Breakfast is included in the room rate. This is a holiday home so is perfect for big families travelling to Kandy together. Cost? Prices start at £107 a night for a holiday home sleeping up to 8 people. 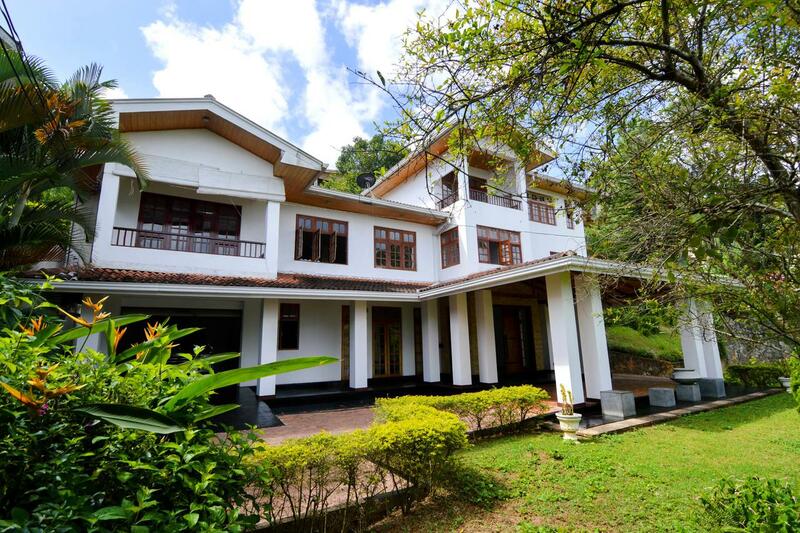 What makes this bungalow in Kandy so special? 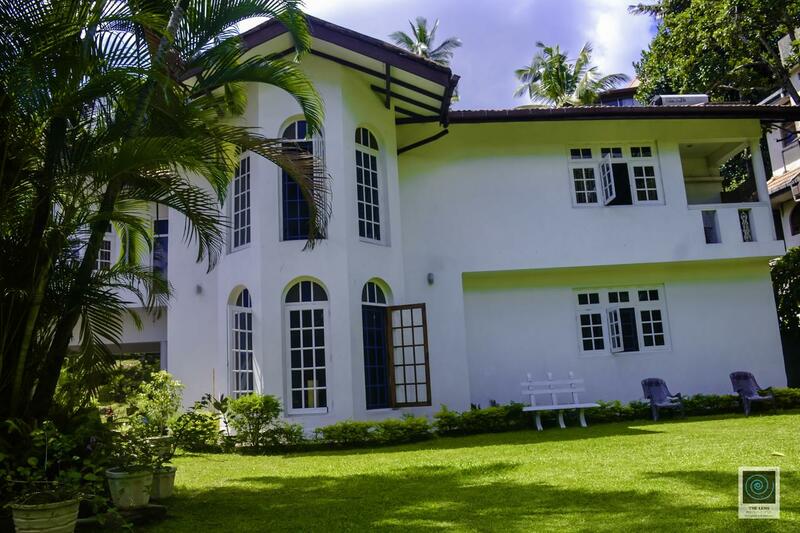 Basically if you’re a big family on holiday and want to keep everyone together in a big and comfortable space, then this is the best of the bungalows in Kandy for you. Plus, 107 divided by 8 people sounds like a good deal to me! 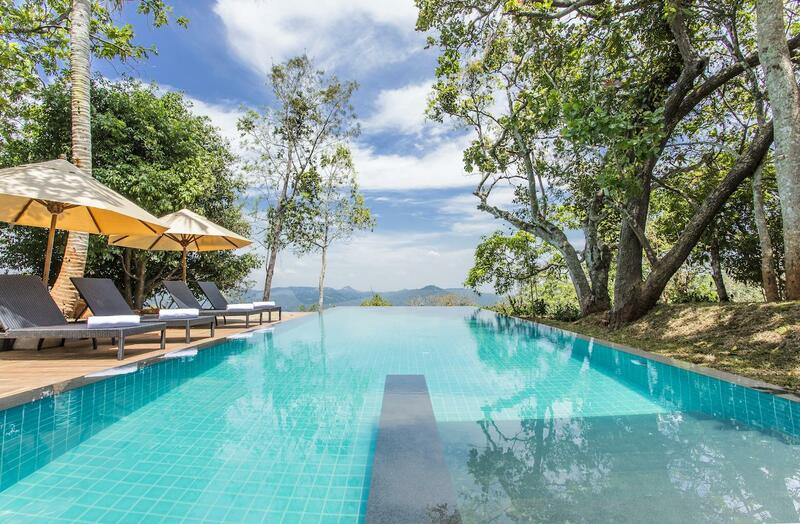 When it comes to bungalows in Kandy, this one offers a stunning infinity pool and offers stunning mountain views. A terrace is also available for relaxing and enjoy a meal on. The rooms are beautifully decorated and yoga sessions can be arranged for an extra fee. This is one of my favourite bungalows in Kandy with a swimming pool. Cost? Prices begin at £77 per three bedroom bungalow based on two people sharing. What makes this bungalow so special? Featuring stunning rooms with panoramic views of the countryside, this is one of my favourite bungalows in Kandy, because I love a good view! 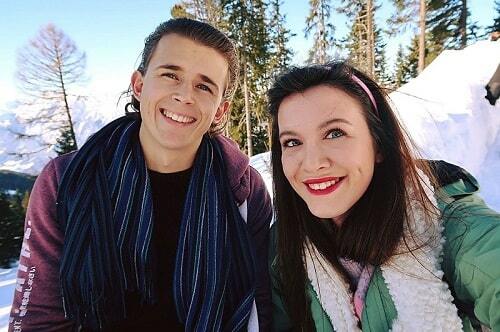 It’s situated close to the Royal Botanical Gardens (which are usually a nightmare to get to with the traffic). The property also offers breakfast within the room rate and airport shuttle for an additional charge. Getting to the Royal Botanical Gardens can be a bit of a nightmare with traffic, so the fact that this is located close to them is a big plus for me. Also, the views are great. 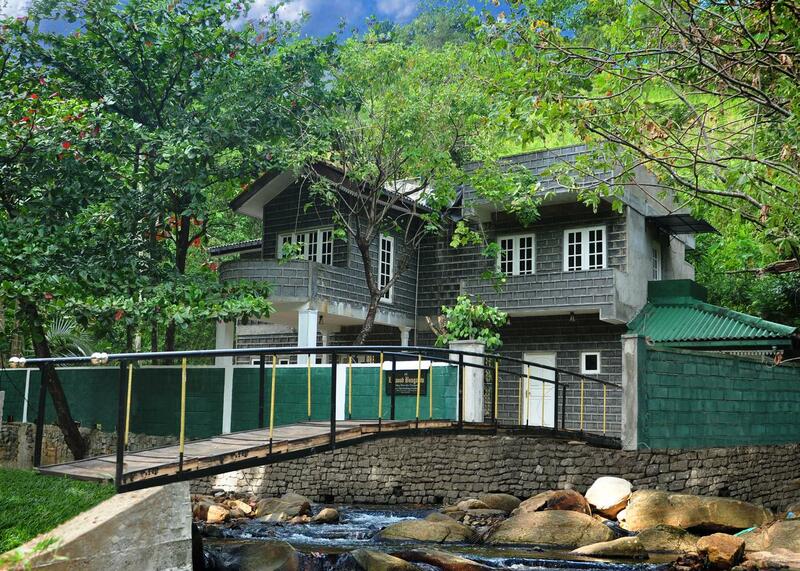 Situated amidst beautiful greenery, this bungalow in Kandy offers comfortable accommodation in a serene setting. The house features four bedrooms, so is perfect for a large family or friendship group stay. Breakfast is available at the property and the holiday bungalow can sleep up to 9 people which makes it excellent value. Cost? Prices begin at £66 per holiday based on 9 people sharing. A large family home for a BIG family, or simply a big group of friends on a trip to Kandy, Sri Lanka! Also, this is one of the best value Bungalows in Kandy, even if you don’t reach full capacity. This fabulous bungalow in Kandy is perfect for those who want to experience the comforts of home, abroad. 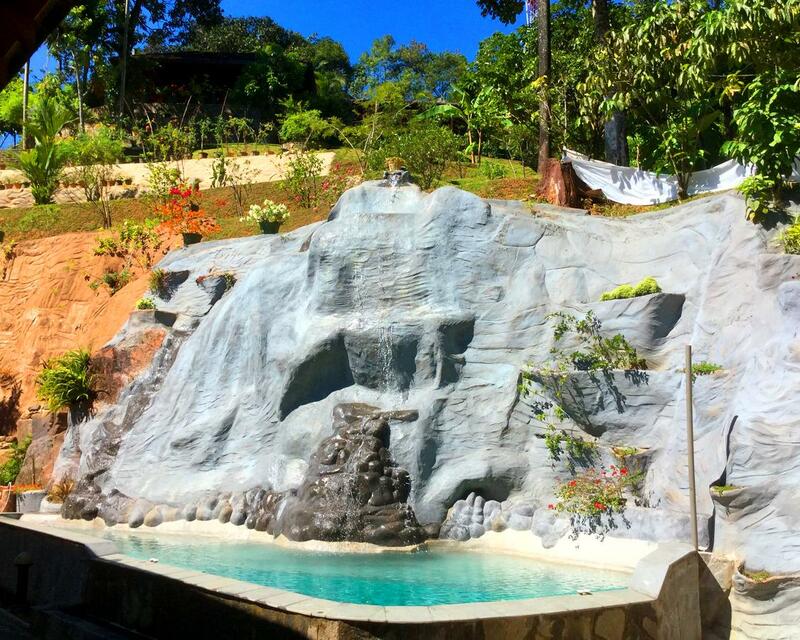 It offers beautifully decorated pool and one of the coolest swimming pools (and backdrops) I’ve ever seen. There is also a shared kitchen that can be used. This bungalow is placed in beautiful surroundings. Breakfast is also included in the room rate. This is a haven of calmness and tranquility. Cost? Prices begin at £115 per double room based on two people sharing. A 9.2 review doesn’t lie, and this looks like my type of accommodation: a home from home. If you like seeking your home comforts when on holiday, then this may be the right choice. Last but not least, we are featuring Linwood Bungalow. This is one of the bungalows in Kandy that is a little out of the way from the city centre. However, it still makes the list for its quality and value. It’s situated in nature and very close to the Royal Botanical Gardens (1 km). Mountain and river views are possible from the balcony and breakfast is available at the bungalow. Cost? Prices begin at £23 per double room based on two people sharing. It’s close to the Royal Botanical Gardens, which is a plus in my eyes, and the fact it’s based in nature means I think it would be very serene and peaceful. When is the best time to visit Kandy? Kandy tends to have the same climate all year round, but it experiences its monsoon season between October and November and will experience most of its rainfall here. Therefore December to April tends to be the most popular time to visit Kandy. To gain the most out of your stay and take advantage of the fantastic bungalows in Kandy, I would say 3 nights. You could do it in three nights, and of course, you could stay longer, but 3 nights is an optimal time. What are the top things to do in Kandy? There is lots to do in Kandy from exploring the Royal Botanical Gardens to visiting Buddha's tooth (yes, really!). 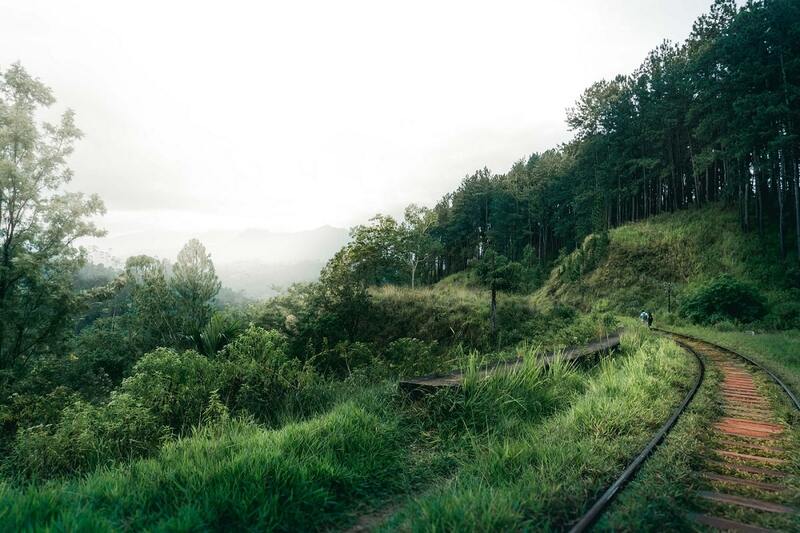 Check out our guide on the best places to visit in Kandy to help plan your itinerary. If you plan on visiting Nuwara Eliya or Ella for your onward journey, then check out our accommodation recommendations there too!